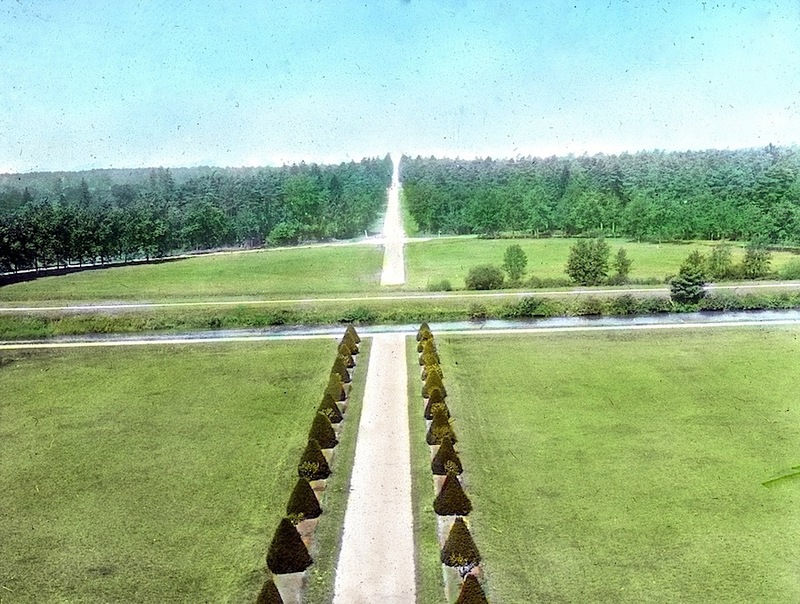 “View of drive from roof, Chambord,” France, ca. 1920, via Arthur Peck Collection, Oregon State University (OSU) Special Collections & Archives Commons on flickr. Arthur Peck was a Professor of Landscape Architecture at the Oregon Agricultural College* from 1908 to 1948. During his long career, he created a teaching library of 24 boxes of glass lantern slides — now in OSU’s archives. ADDENDUM: June 2017 — A 14-year-long renovation of the grounds has just been completed. *The college later became OSU. Previous Post The Sunday porch: Washington, D.C.